The world’s oldest human DNA has been recovered from the thigh bone of an ancestor that walked the Earth 400,000 years ago. It belonged to a hominin, or early human, known as Homo heidelbergensis and provides a new vital piece of the jigsaw in the story of evolution. Using a technique for retrieving and sequencing highly degraded ancient DNA, scientists were able to reconstruct the almost complete mitochondrial (mt) genome from just two grams of bone powder. 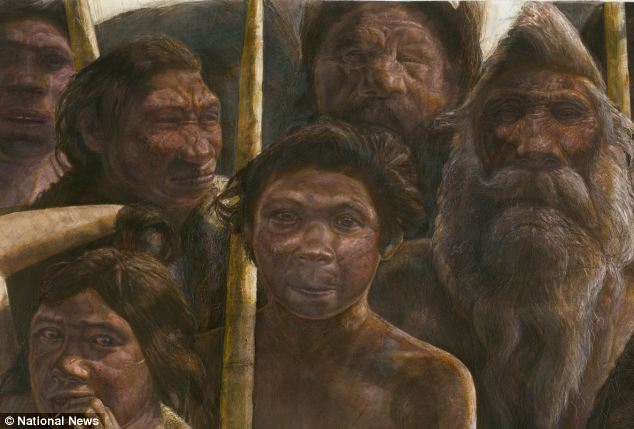 The findings, published in Nature, are unexpected because as early hominins looked a bit like Neanderthals, their mtDNA was expected to share a common ancestor. But the creature dug up in an underground cave in northern Spain known as the ‘Pit of Bones’ was found to share a common ancestor with the Neanderthals’ mysterious Asian sister group, the Denisovans, dating back about 700,000 years. From the missing mutations in the old DNA sequences the researchers were able to calculate when the ‘Pit of Bones’ hominin lived. The DNA was recovered from a 400,000-year-old thigh bone dug up in an underground cave in northern Spain known as the ‘Pit of Bones’. The Pit of Bones a 12-meter deep vertical shaft which turns into an inclined passage 10 meters in length opening onto a chamber measuring 15 square meters. 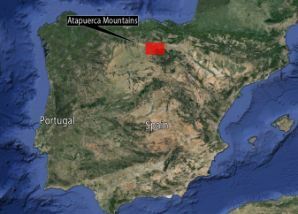 The cave at the Atapuerca Mountains, or ‘Sima de los Huesos’ in Spanish, has already yielded the world’s biggest collection of Middle Pleistocene fossils. Aa total of 28 skeletons, so further DNA extractions may be possible. Mitochondrial DNA can only be passed from a mother to her children and produces the power plants of cells. Considering their age and Neanderthal like features, the H heidelbergensis was likely related to both Neanderthals and Denisovans. Another possibility is gene flow from yet another group of hominins brought the Denisovan mtDNA into the ‘Pit of Bones’ hominins or their ancestors. DNA this old has until recently been retrieved only from the permafrost. The study pushes our understanding of the genetics of human evolution some 200,000 years further back from the Late to the Middle Pleistocene. 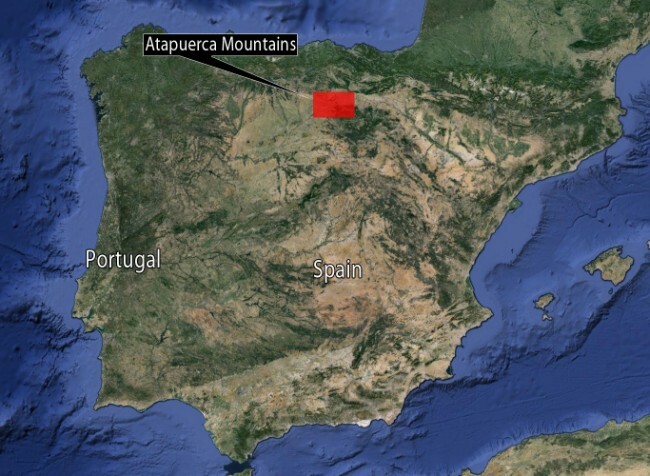 The cave at Sierra de Atapuerca, ‘Sima de los Huesos’ in Spanish, has already yielded the world’s biggest collection of Middle Pleistocene fossils, a total of 28 skeletons, so further DNA extractions may be possible. They have been excavated and pieced together over the course of more than two decades by a Spanish team of paleontologists led by Juan-Luis Arsuaga.